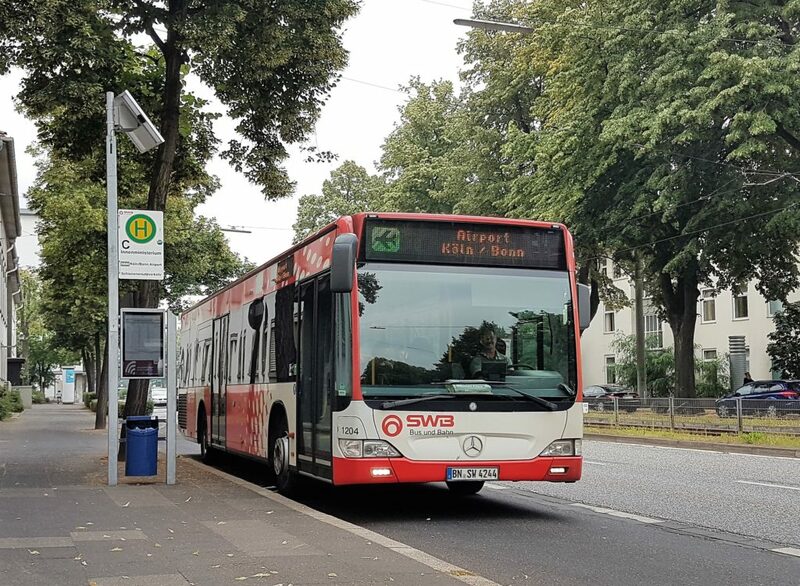 Stadtwerke Bonn Bus und Bahn (SWBV), the Bonn municipal citizen service authority, is trialling Papercast e-paper bus stop displays as part of its long-term goal to provide sustainable mobility services to the public. 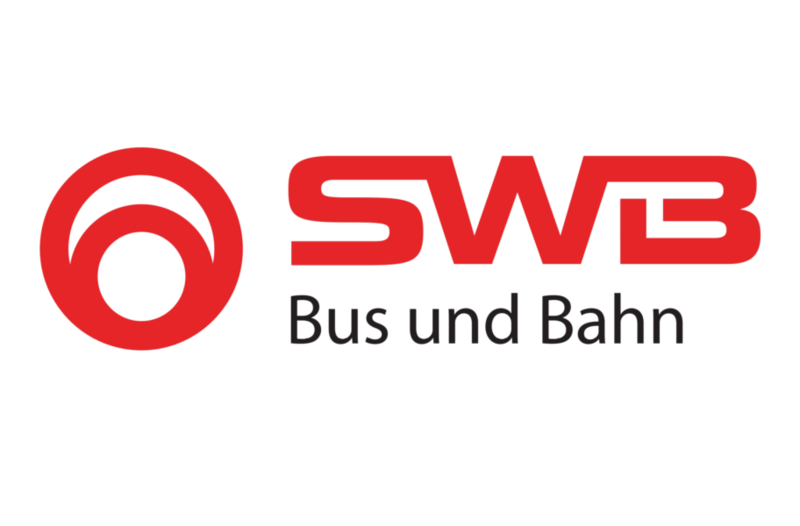 The Stadtwerke Bonn Verkehrs-GmbH (SWBV) (SWB or SWBV) – also known as the SWB bus and train – is a municipal transport company in Bonn and the surrounding area. It is a wholly owned subsidiary of Stadtwerke Bonn. 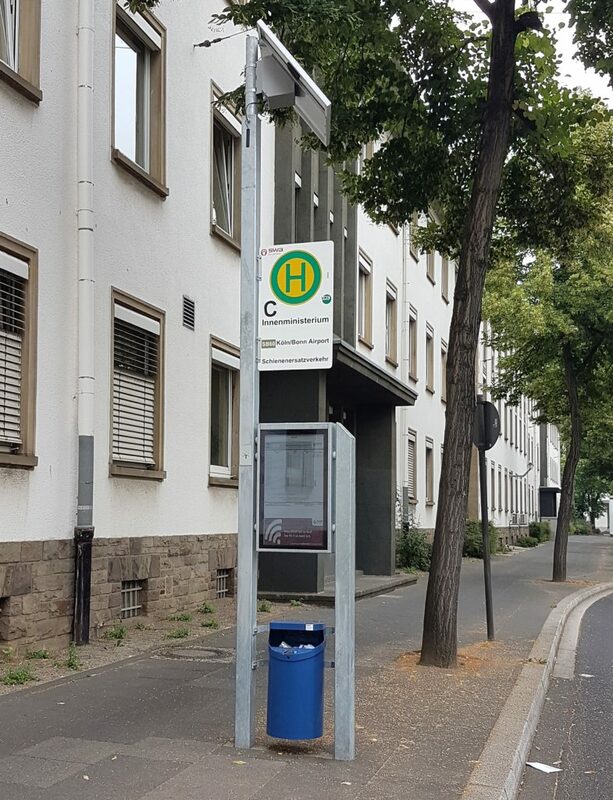 The ‘Paperless Bus Stop’ project aims to replace paper timetables with dynamic digital displays that show live bus arrivals for customers at the bus stop. This field test was part of an initial evaluation of different display technologies, the trial has now been extended throughout the area. Papercast was selected to demonstrate the unique attributes of e-paper technology, due to its advanced stage of development. Not only did SWBV’s market research identify Papercast as the strongest e-paper based solution, but the displays met the general criteria of high resolution picture quality, combined with mobile connectivity and solar power supply. Papercast delivered the prerequisites of excellent outdoor screen visibility even in strong direct sunlight, as well as solar power, mobile connectivity and a solid backend system for generating the information on the display. 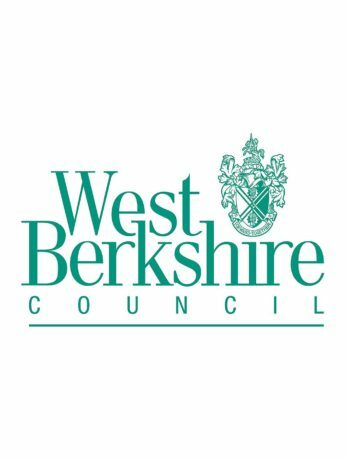 With the cloud-based management system the customer has access to an intuitive web interface that means the content can be easily updated from anywhere. 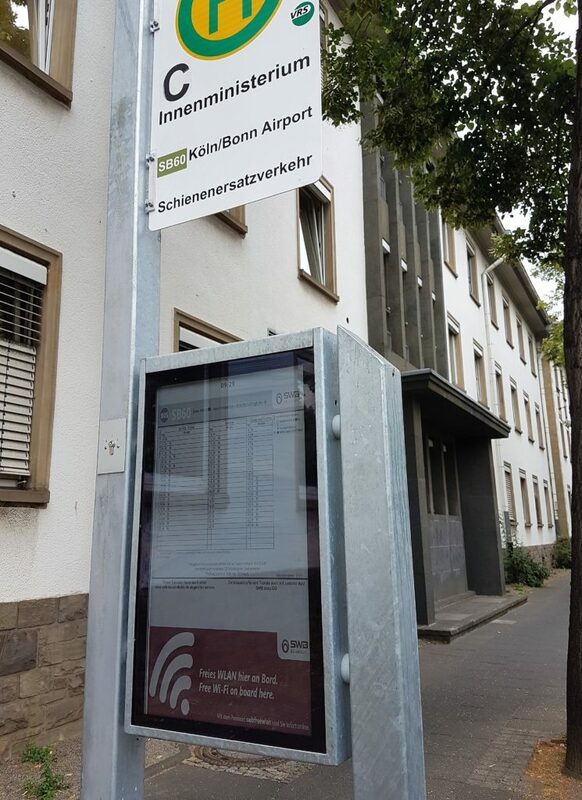 SWB can now provide live arrivals and other information to passengers at this bus stop where previously it would not have been feasible.